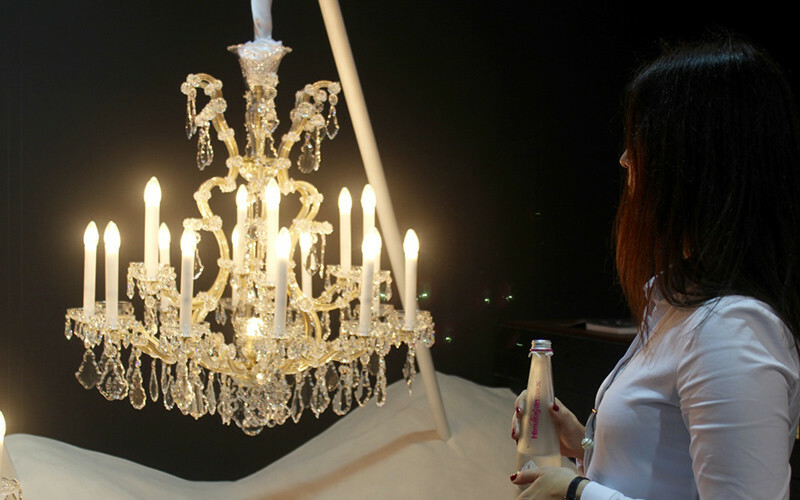 The 9th edition of the BMW India Art Fair took place at NSIC Grounds, Okhla spread over a span of four days from the 2nd till the 5th of Feb. 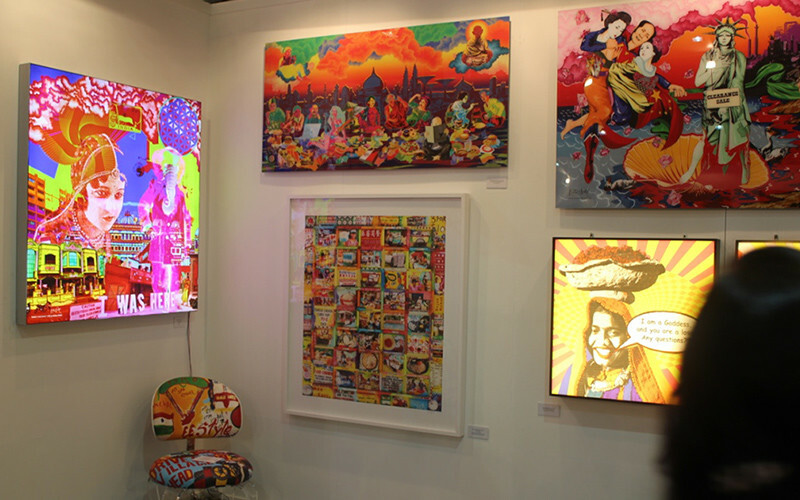 This edition of the Art Fair brought together an eclectic combination of Indian as well as international artists, with over 70 galleries participating from all over the world! From Donald Trump and Vladimir Putin to demonetized Indian currency, artists took to various interesting and cultural themes this year and we relished it all! 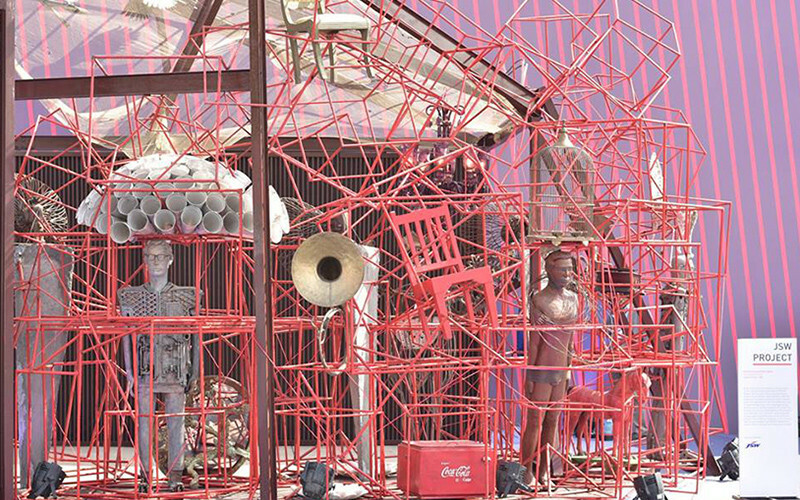 One of the main things that caught our eye and made us super happy was the fact that this year’s fair saw a long-overdue platform devoted entirely to upcoming as well as established Indian artists! Everyone from Mahbubur Rahman, Dhruvi Acharya, Rathin Barman, Gautam Kansara and Koshal Hamal were featured here. While we were at the event, our BFF for the evening was our loyal DSLR and a bottle of Himalayan Sparkling Water! OMG is that love or what? A perfect substitute for those who don&apos;t fancy wine, pour the sparkling beauty into a goblet glass accompanied by a slice of lime, and you’re all set for the evening *happy grins*. Himalayan has recently introduced their Sparkling Water bottles and we must say, they’re simply gorgeous! Glass bottles adorning the classy ‘Himalayan’ logo in hot pink, we’re totally crushing on these bottles! Honestly we’ve saved ours and are using them as flower vases now! Coming back to the Art Fair, one of the most captivating exhibits from this year was Anila Quayyum Agha&apos;s &apos;All the Flowers Are For Me&apos;. 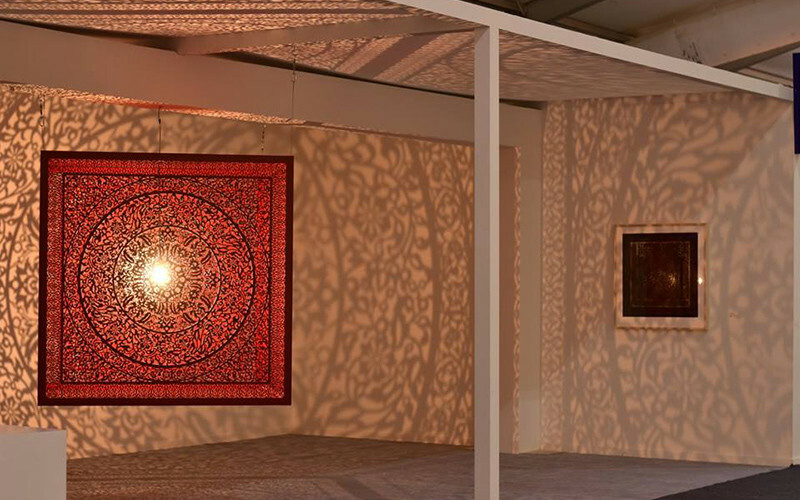 The work comprised a lit-up metal box with laser cutouts of delicate floral and geometric designs that refract light. The resulting work casted delicate patterns on its surroundings. 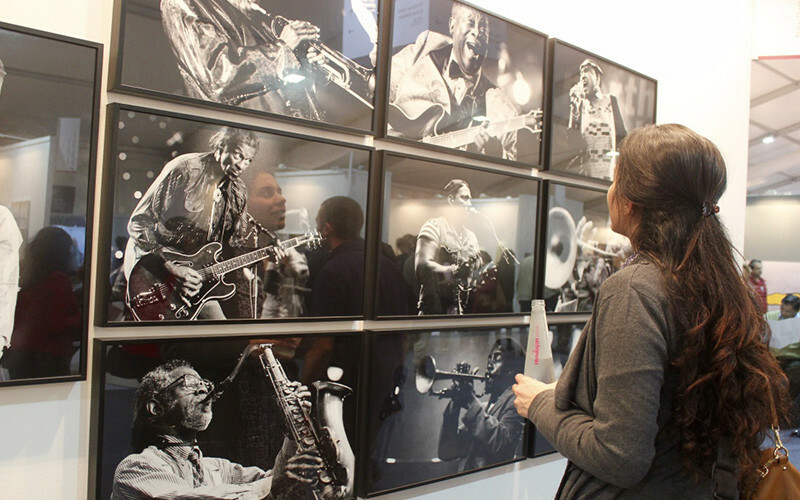 The artist has won several international awards too, for the same! No wonder it was such a major level beauty! Another set of funky artwork that caught our eye was by Alberto Echegaray Guevara called ‘Empty Illusions’. They’d used old currency notes to create such interesting artwork featuring powerful Hindi words like ‘Dharm’. Wow! 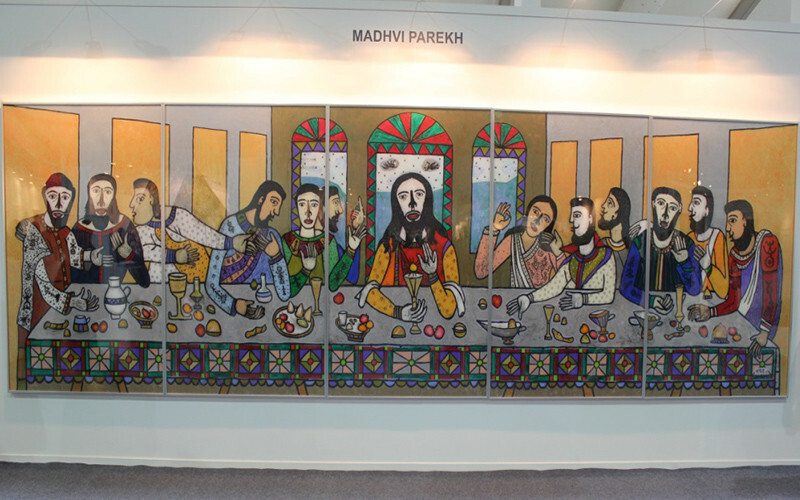 This year there was focus on South Asian art work too, with galleries from Bangladesh (Britto Arts Trust), Nepal (Nepal Art Council) and Sri Lanka (Theertha International Artists&apos; Collective) presenting interesting projects, which created a nice and happy buzz. 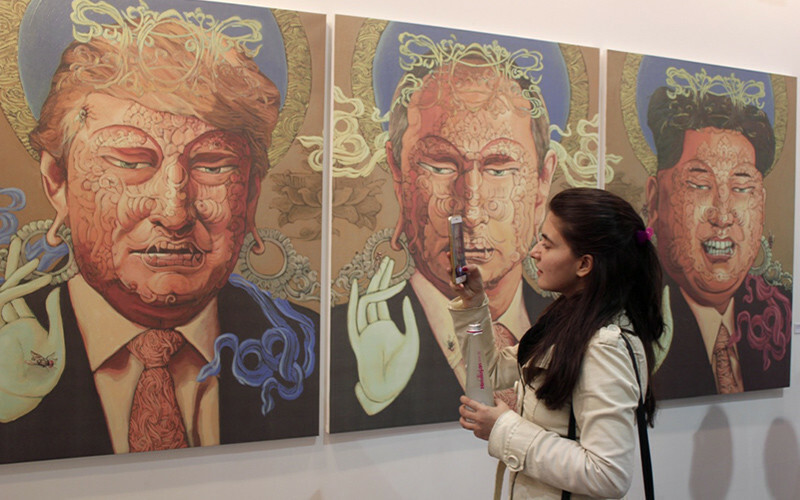 Their most well-received painting was the Donald Trump Piece - so very innovative as well as quirky! 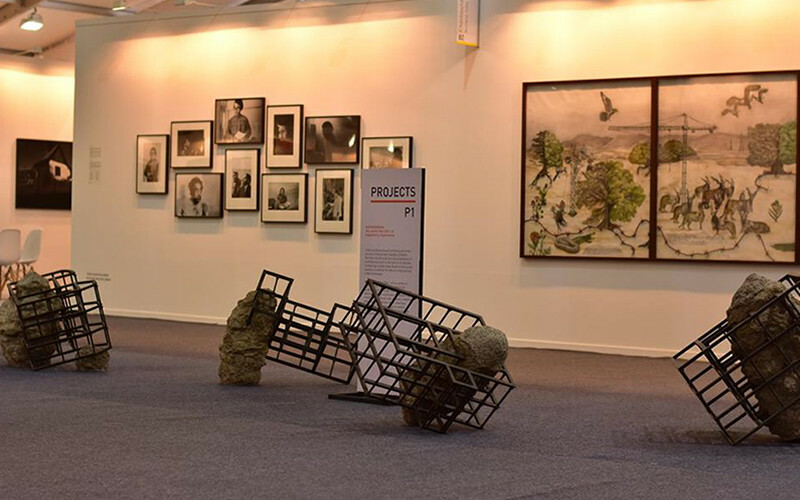 The India Art Fair truly brought together an incredible group of collectors, artists, curators and gallerists like never before. A perfect companion for a fine dining experience as well as a good accompanist for everyday day-dreaming at events, Himalayan Sparkling Water just became a personal fav - you’d best take it along on your next jaunt too! 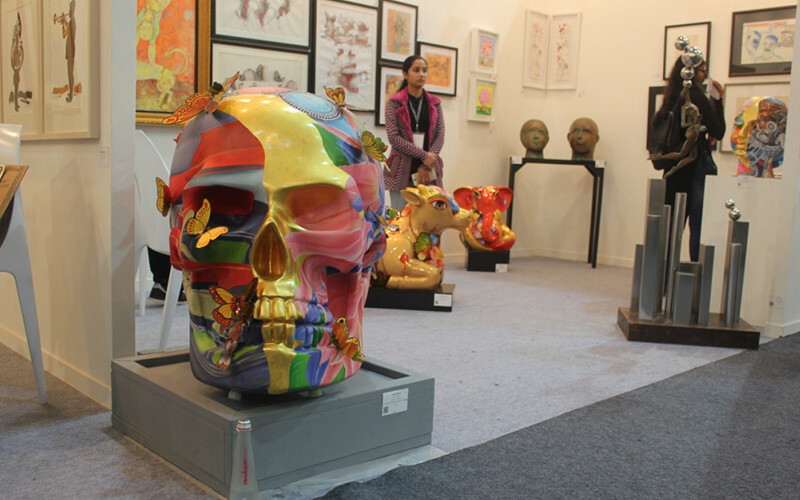 Time to wait for the next India Art Fair guys!